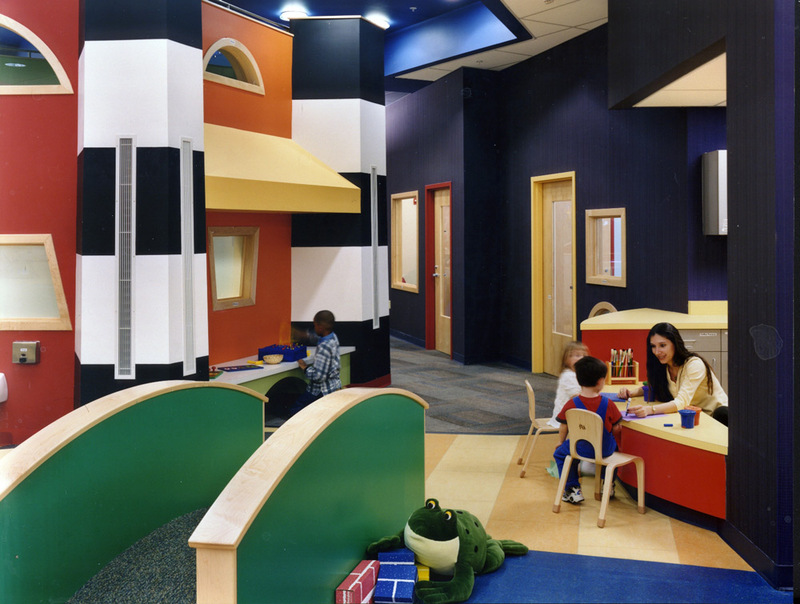 This center consists of a school-age program and a back-up program for infant through pre-school children. The free-flowing, open floor plan is derived from an abstraction of Pittsburgh icons such as Fort Pitt, the three rivers and several bridges. 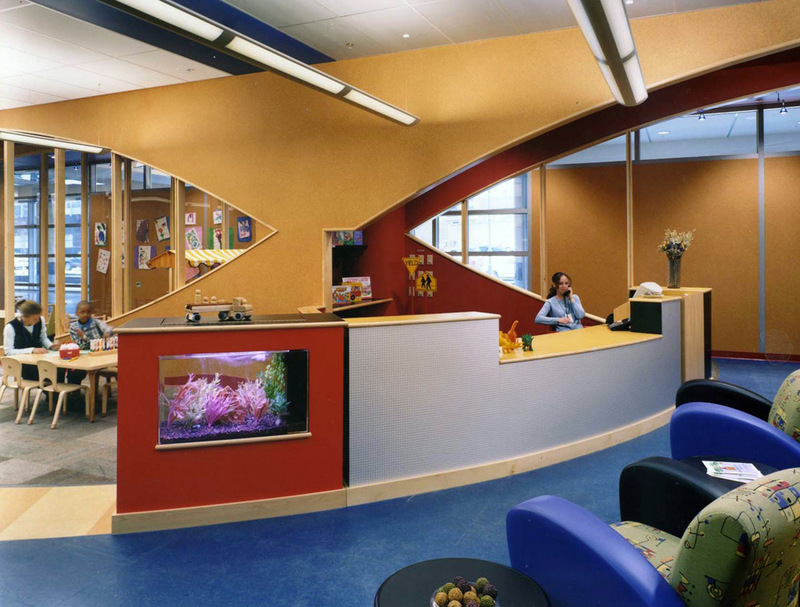 The theme of bridges is carried throughout with the sweeping span of the Smithfield Avenue Bridge, defining a preschool play space. 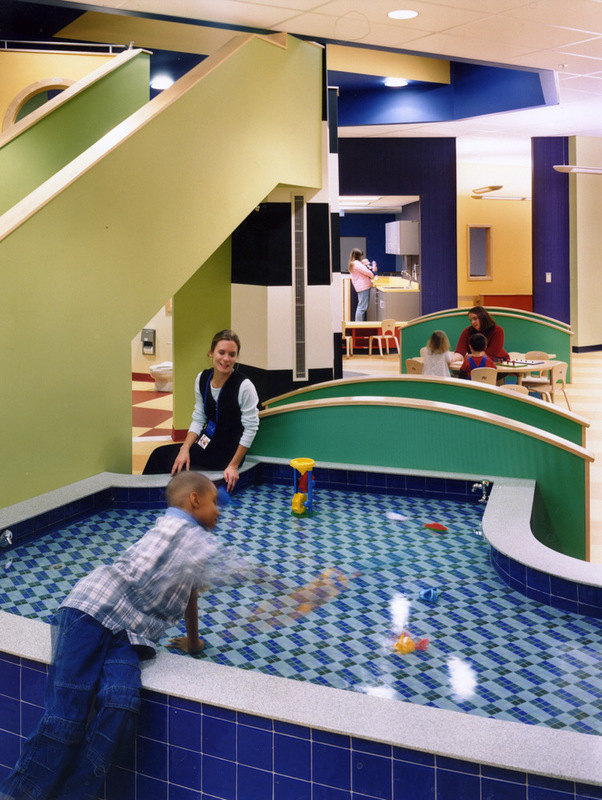 Smaller child-size bridges cross the blue linoleum “rivers” which border the Fort Pitt play tower. The rivers converge in a curving mosaic tile water table. 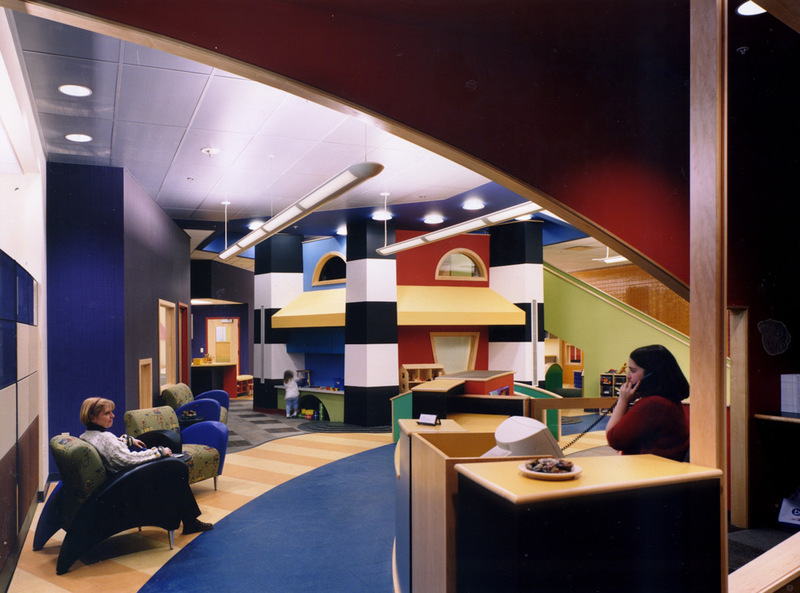 This highly animated, artistically colorful space brings out the child in everyone who enters. 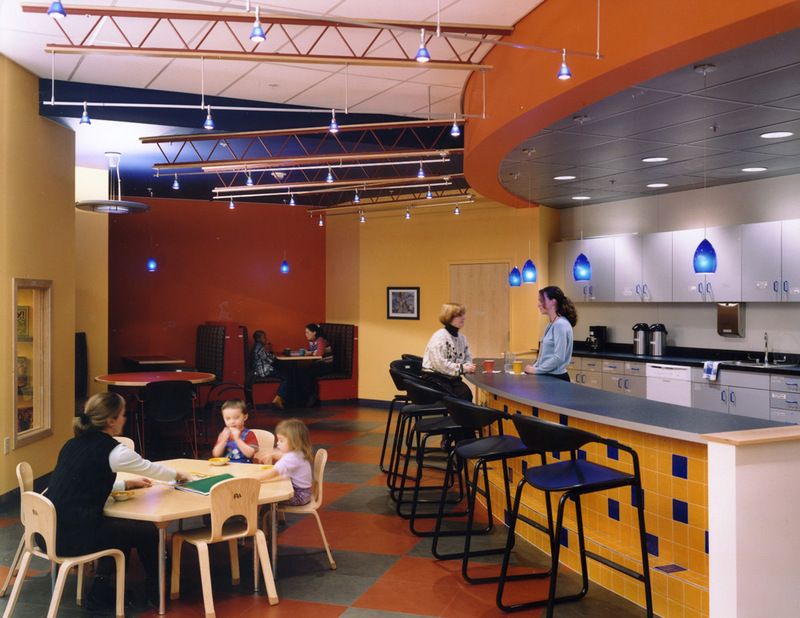 Large rotating doors separate PNC’s school-age program from the back-up care. 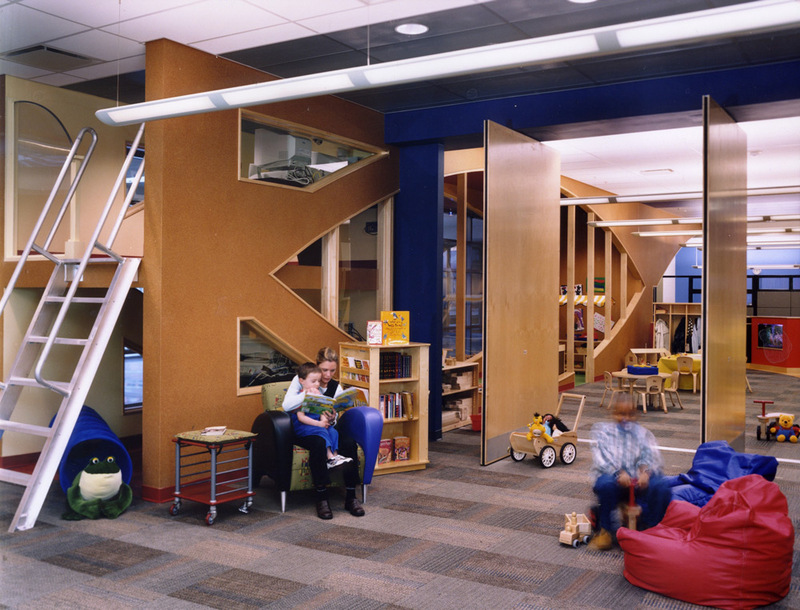 Equally as dynamic, the school-age space contains an art studio, a library, a café, and a computer loft. The center earned a LEED silver certification for Commercial Interiors and continues to set the standard for competing nearby centers. studioMLA Architects carried this project through design development. A local architecture firm, LDA Companies, produced the working drawings.